Whether you are planning a brunch with your long lost friends or planning to go for an all black-tie dinner, picking the right jewellery is the key to add a finishing touch for any lovely outfit. The jewelry you wear tends to hold a personal connection especially if you buy it for a special occasion. It is similar to a nostalgic remnant of your memories that stay with you for long. So regardless of where you are going, there is a set of reminders that you need to keep in mind before putting together a praiseworthy outfit with the right set of jewelry. Here are some tips that you need to keep in mind while purchasing jewelries for special occasions. You need to be all bling when planning to buy jewelry for a special occasion. Unless it is something very big such as your or a friend’s marriage or something remotely close to the same, make sure you keep it casual and subtle. Events such as a get together or weekend getaway should be paired with casual jewelries that add a layer of sparkle to your outfit while keeping it subtle and classy. When it comes to work place events, it is best that you avoid anything that is chunky and big. This doesn’t mean that you need to let go of your style statement. 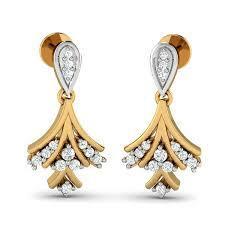 Rather, you can favor the sophisticated stream of jewelry that includes metals such as silver or gold. Don’t forget to add a watch to your look to add that classic touch. If you are a 9 to 5 employee, you will surely associate with the amazing feeling as weekend approaches. This is the time when you get to unwind. So rather than toning it down, we stay tag it up a notch and flaunt that stylish piece of jewelry you just acquired to match with your favorite dress. It is often preferable that you go for designer pieces with precious stones that look stunning with your party wear. Now these events are something where you need to go all out with jewelry. Be the bombshell that you are and dazzle the night with your ravishing looks. Generally, Indians prefer to opt for gold and diamond jewelries on special occasions such as marriages or birthday parties. So why not get yourself one such fine jewelry from the latest collection brought online. Now that you know the right jewelry to pick for an event coming soon, it’s time to grab your purse and head out to shop. If you are too busy or tired to go out, there is always online shopping with several authentic sites for latest jewelries at flexible rates.